Hope Pigg is the Simulation Lab Manager, and instructor for the Practical Nursing program. She has been with NETC since March 2017. She works with both the ADN and PN program in the simulation lab to provide skills teaching, and real life scenarios using sim man to educate students on disease processes and nursing skills. Outside of work, she enjoys spending time with her family, church activities, and gardening. 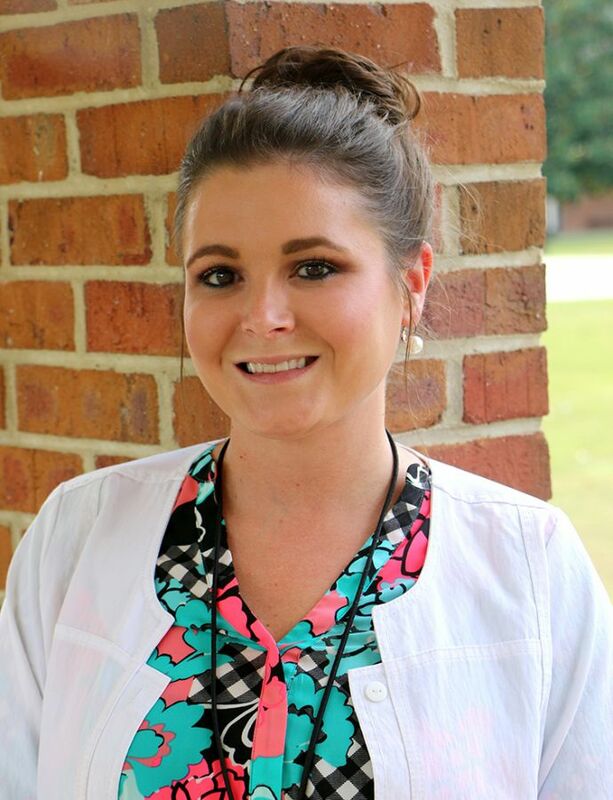 Mrs. Pigg earned her Associate in Science from Northeastern Technical College, Associate in Science of Nursing from Florence Darlington Technical College, Bachelor of Science in Nursing from Western Governors University, and actively pursuing her Masters in Nursing Education from Western Governors University. Mrs. Pigg has worked in Medical Surgical Nursing, Management in Home Health Nursing, and as a Clinical Documentation Specialist in nursing. She is from Chesterfield County. Students in Mrs. Pigg's class will learn nursing knowledge, and skills to prepare them for the nursing field.